Swimming with turtles is an essential activity during a first trip to the Riviera Maya. 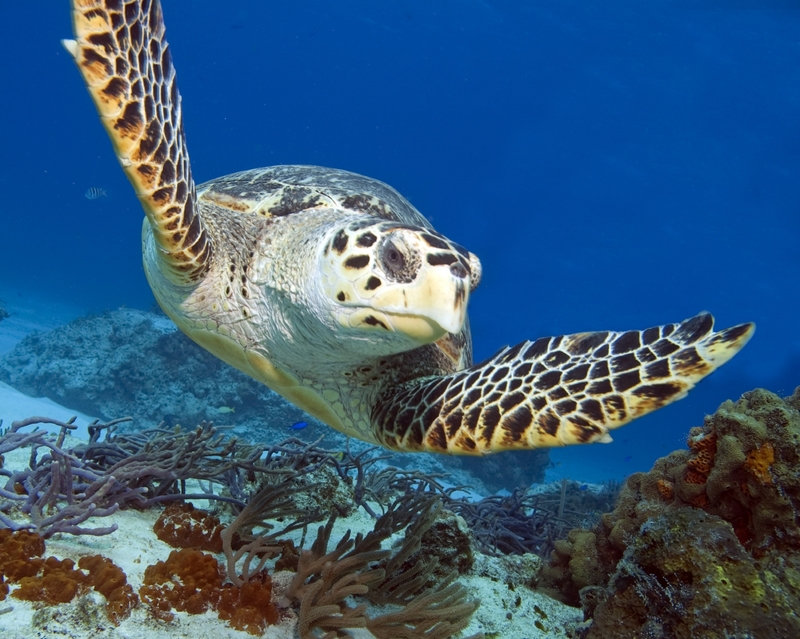 We are fortunate to have a lot of the Caribbean sea turtles. Four species of the eight turtle species that exist in the world are on the Caribbean coast of Mexico. You can can sometimes see them when you aren’t snorkeling, but this is only occasional. 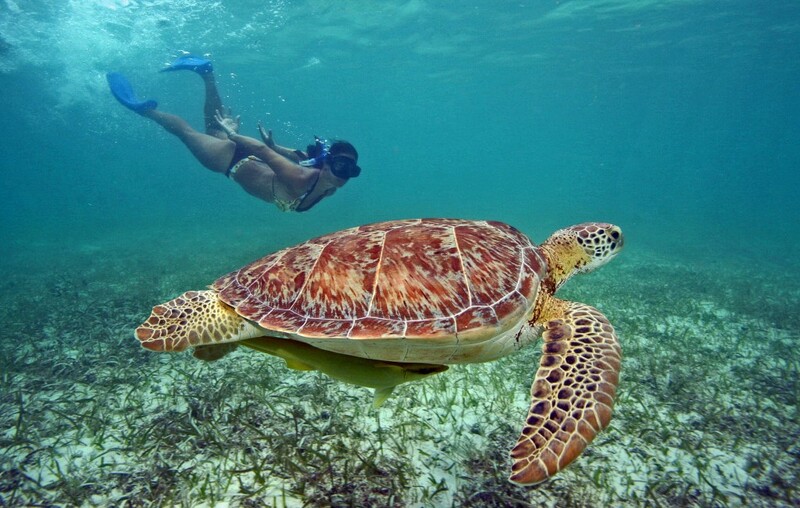 To see the turtles in their natural environment, there is a bay called Akumal, located 30 minutes south of Playa del Carmen, where they come everyday to eat the algae that is present at the bottom of the ocean. They come to eat in a relatively small perimeter, allowing people to see them closely while wearing a mask and snorkel (snorkeling). The first one is highly important: do not touch the turtles! If you pass near them, it is important not to touch the animals that come to eat; touching them can disrupt and stress them out enormously. There is no control in the water, so it is important that everyone respects these simple rules for the well-being of the turtles. You can swim with turtles, observing but never bothering them. Another important rule is to not put on sunscreen before going into the water so as to avoid polluting the environment. Access to the bay is free for individuals, you will just have to wear a snorkel mask, fins and preferably a vest so to not go down too close to the turtles. If you go through a tour agency, such as Paseo Tours, during your stay in Mexico, the regulation requires us to go through local guides who will mentor you in the water and provide you with all of the necessary equipment. Access was restricted to guests only using agencies so that people do not do anything in the water and do not frighten the turtles ..
Do not hesitate to contact us for more information about this activity. Visit CartagenaAfter Mexico, Spain Spree: Visit the beautiful city of Valencia!